A century has passed since the outbreak of World War I, yet as military historian Hew Strachan argues in this brilliant and authoritative new book, the legacy of the 'war to end all wars' is with us still. The First World War was a truly global conflict from the start, with many of the most decisive battles fought in or directly affecting the Balkans, Africa, and the Ottoman Empire. Even more than World War II, the First World War continues to shape the politics and international relations of our world. 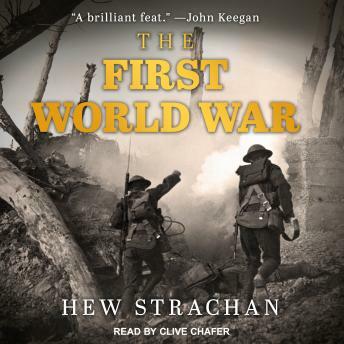 Strachan has done a masterful job of reexamining the causes, the major campaigns, and the consequences of the First World War, compressing a lifetime of knowledge into a single definitive volume tailored for the general reader. Written in crisp, compelling prose, The First World War re-creates this world-altering conflict both on and off the battlefield-the clash of ideologies between the colonial powers at the center of the war, the social and economic unrest that swept Europe both before and after, the military strategies employed with stunning success and tragic failure in the various theaters of war, the terms of peace and why it didn't last.